We've been keeping a little secret over at Gina K. Designs for a while now. And FINALLY we can tell you!! Take a look at what's happening RIGHT NOW! Of course you know that STAMPtember is a big deal over at Simon Says Stamp and being the generous company they are, they are partnering with other stamp companies to bring you some fantastic exclusive sets. The possibilities are endless! I've already created a multitude of projects using this set. This is a limited edition, so when it is sold out, that's it. GONE! As long as it's available, I'll keep showing you fun projects to inspire you. OK? 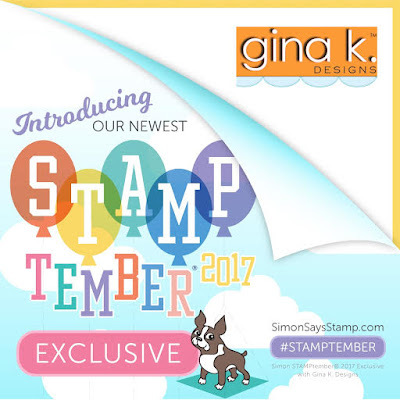 So hurry over to Simon Says Stamp and get your Gina K. exclusive set today. 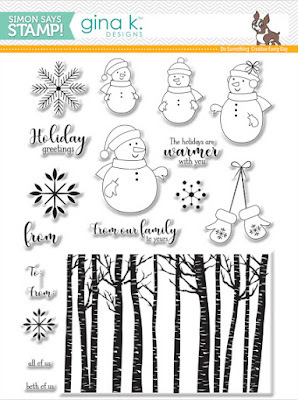 And be sure to look at ALL the beautiful products they are offering during STAMPtember. Would you enjoy seeing what our design team has made so far with this set? Happy shopping and I'll see you tomorrow. Total cuteness! I LOVE how you did the little snowfolks! Such a cute card! Love those snowmen arranged in the circle. Too cute! this is such a cute card!!! just love this set ordered it this morning before it was gone!!!! The pastel colors offer a totally different look- so many ways to use this set! Love this cute card design and the colors. Susie, your card is adorable! Just love this card! The layout and colors are beautiful. Totally love the snowman and this set! Your card is adorable! Thank you for the blog hop! So cute with the circle design. Super cute Susie, this is seriously adorable. I wouldn't have thought to do this with the snowmen but I love it. Very well done! oh so cute and adorable. Love your creations. Love ❤️ Love ❤️ your snowmen ⛄️ cards. 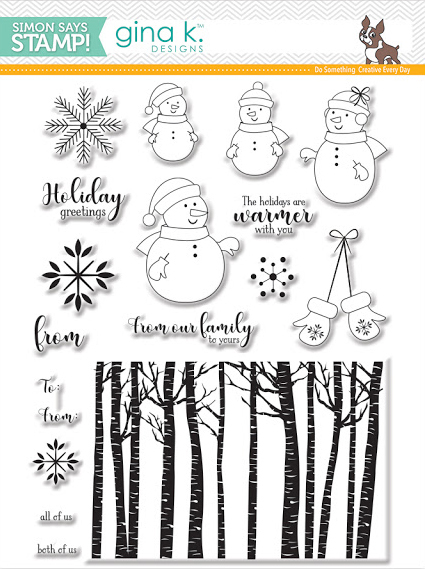 The snowmen ⛄️ set is so darn cute and has so many possibilities. Thank you for sharing your wonderful cards!